The parameters of success for an Indian label today have undergone a tremendous change. Fresh, homegrown brands don’t just rely on the brouhaha of a fashion week or a celebrity endorsement to propel them forward. We are eyeing labels that are hustling ahead, pushing commercial boundaries and expanding to international markets for a chance at success, often finding a more receptive audience for their ideas. They are young, brave and creating a more dynamic and wider circle of influence for Indian fashion. What: Founded by mother-son duo Bindu Giri and Surya Giri, SGBG Atelier is known to weave street wear influences with age-old craft techniques, which gives its outfits a neo-punk aesthetic. Where: The label has exhibited at TRANOÏ Week, VNH Gallery, Paris under an Ethical & Sustainable Edit, and at Coterie TMRW, New York, which showcases advanced contemporary lines and emerging designers with a global perspective. At the NYFW Spring/Summer 2019 held in September, the brand made its debut with a panel featuring Diaspora Creatives discussing their work in relation to memory, culture, and technology, and the showcase of their collection. They were also invited to exhibit at UN Sustainable Development Goals Showcase in New York this year. USP: Hand-woven, hand-embroidered, and hand-made by National-Award winning artisans in India, the creations hit the sweet spot between centuries-old art and progressive fashion. What: Established in India by founder Nishanth Chopra and designed in London by Richard Malone, Oshadi comprises functional separates, which are crafted using organic fibers, ancient weaving techniques and natural dyeing processes by the local artisans of Erode, Tamil Nadu. Where: The label hosts private showcases during summer and winter Paris Fashion Weeks. It has previously made its debut at CIFF (Copenhagen), White Show Milano, TRANOÏ and Capsule (Paris). Earlier this year, they collaborated with designer Stella McCartney to develop a hand woven peace silk (Ahimsa silk) dress for the Commonwealth Fashion Exchange held at the Buckingham Palace. USP: With sustainability at its core, Chopra advocates slow fashion by using natural materials (such as organic cotton and Ahimsa silk) and eco-friendly methods (dyeing materials include Palash flowers and fermented indigo leaves) and fair trade practices. What: Started in 2016 by designer Yadvi Agarwal, Yavï displays her love for impressionist art through bohemian, free-flowing silhouettes, which look at home in the streets of Mexico and Mumbai. Where: The label’s textile jewelry and garments have been exhibited and sold at the Victoria and Albert Museum in the UK and the San Francisco Museum of Modern Art. 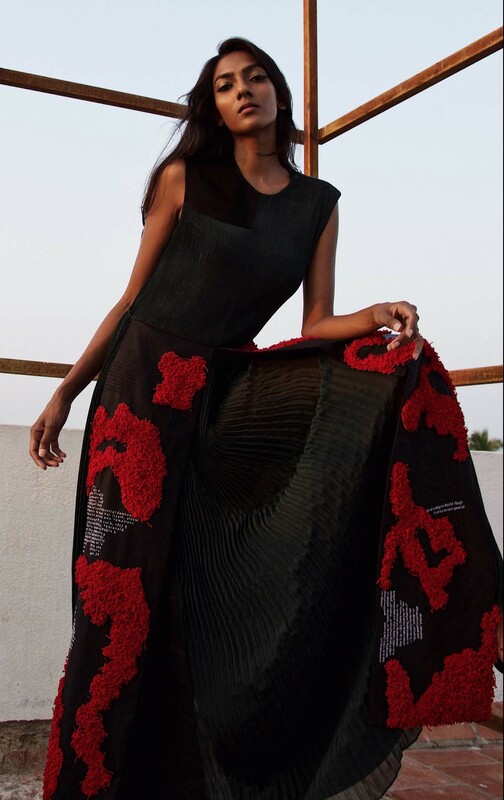 Following that the label made its debut in India with Lakmé Gen next designers Winter/ Festive 2018 edition. USP: The label’s one single thread embroidery jackets are real conversation starters. Agarwal is also vying to make her label commercial with digital prints. What: The label started by designer Kanika Jain in 2011 is known for its urbane separates which look like simple shapes at the first glance, but reveal clever, hidden details on closer inspection. 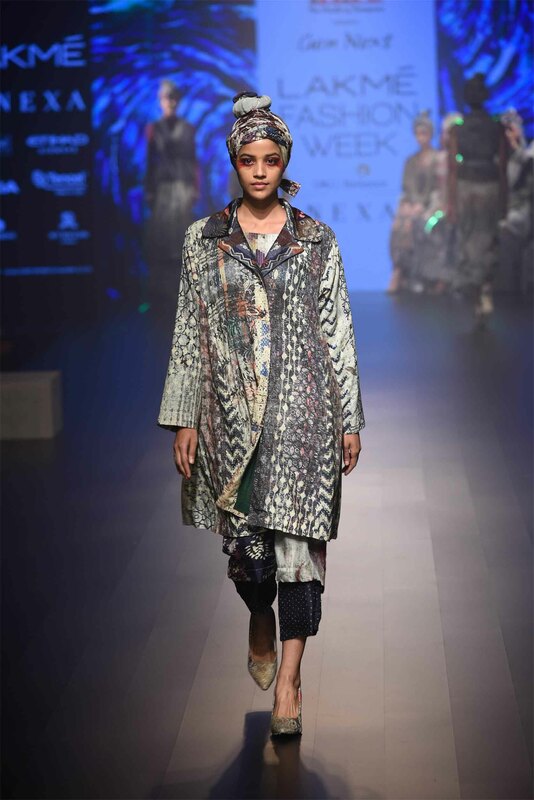 Where: Kanika Jain made her debut at the New York Fashion Week Spring/Summer 2019 this year in collaboration with Flying Solo. 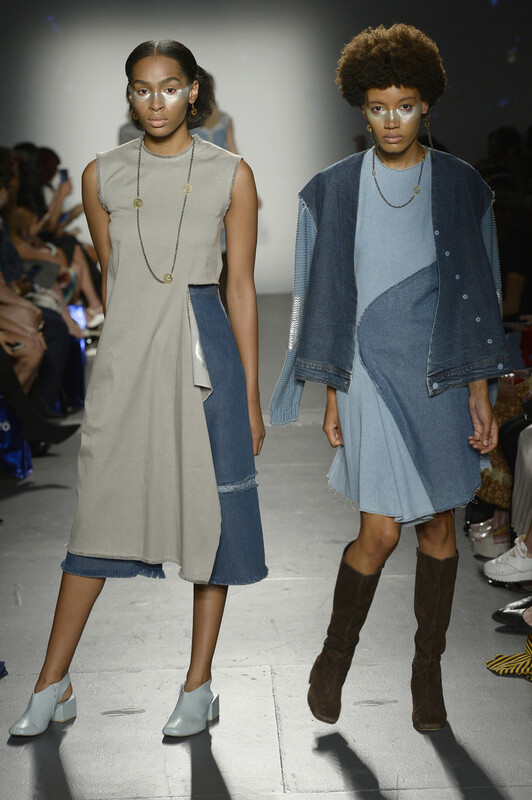 The classic denim was given edgy treatment and details like frayed edges, customised buttons and twisted pleats featured prominently in this line. USP: Known for her architectural hemlines and asymmetry, this label’s cool-girl aesthetic is in sync with fashion’s It-girl vibe. What: Sonal Verma founded the label in 2013 with the concept of immortal design. She dabbles in clothing, accessories and space design, which is at the core of the label’s many collaborations. Where: She has been showcasing her work in Paris at the TRANOÏ fair since Spring Summer 2017. She has been actively involved with the eminent Cotton Council International and Onio design as an independent collaborator/trend analyst. She has also worked with The Woolmark Company in 2017 for a line that highlighted Merino wool as an eco-friendly and versatile fibre. USP: Known for her leather clothing and accessories, and brilliant use of surface embellishments. Currently stocked at: RARA AVIS by Sonal Verma, Shahpur Jat (New Delhi); Taj Hotels, Taj Khazana (New Delhi and Goa); Ensemble (Mumbai and Delhi); Ogaan (New Delhi); The Second Floor Studio (New Delhi); Aza (Mumbai); Collage (Chennai); New York, Paris, Madrid, Cannes, Kuwait, Treviso (Italy), Sardinia (Italy), London and Rome. 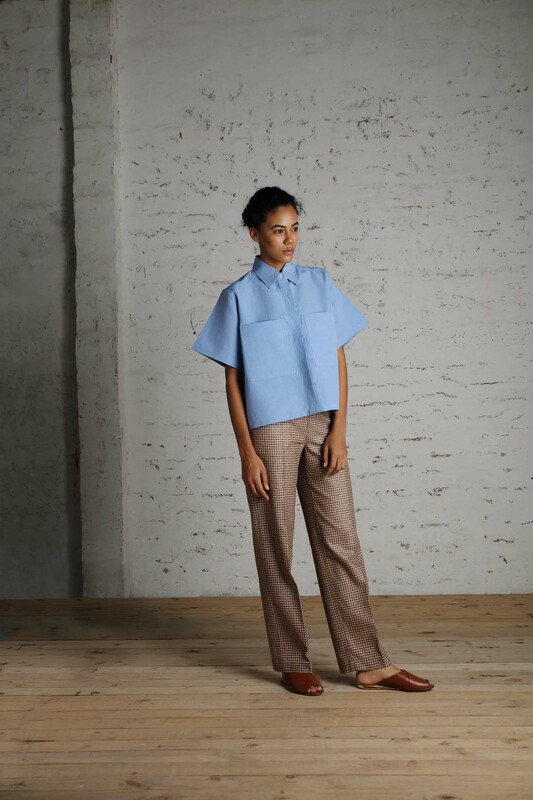 What: A traveling label based out of Paris, Dubai and India, Franco-Indian-Norwegian designer Helena Bajaj Larsen launched her eponymous label this, after gaining work experience with notable fashion houses like Mary Katrantzou, Nina Ricci and Thakoon. Where: The brand was sponsored by CAAFD (Council of Aspiring American Fashion Designers) to showcase at the New York Fashion Week in their Emerging Designer Showcase in September this year. In May, she presented her collection in New Zealand as a finalist for the iD International Emerging Designer Awards 2018. She was also shortlisted as one of the top 20 finalists for the WGSN + Arts Thread: Future Creator Award in 2017. USP: The designer’s experiments with textiles are truly one-of-a-kind as she believes in hand painting each and every garment herself. Currently stocked at: Nimai (New Delhi). Mumbai’s Melange and Dubai’s The Gate Avenue are on the cards this year.